The service building designed by Fortunen AS is the winner of the World Architecture News Small Spaces Award 2016. The wider context surrounding the building is both breath-taking and exciting. 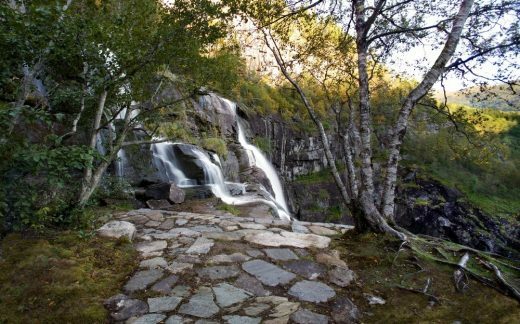 The river Storelvi flows from a semi-open agricultural landscape, into a narrow channel formed by rock, finally dropping dramatically, creating the impressive two-step waterfall. 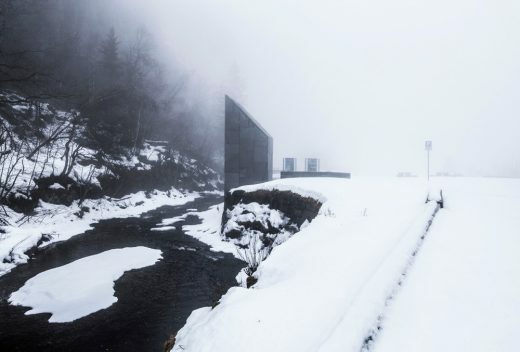 The building itself sits within a larger open landscape and takes advantage of wide views towards the steep mountain walls, and the moving valley. 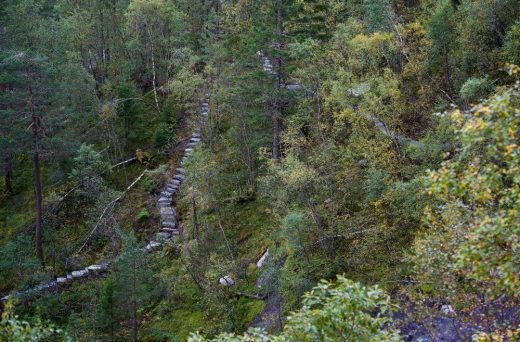 Rough, yet poetic walking paths and steps, laid by a team of Sherpa’s from Nepal, pass through the landscape. 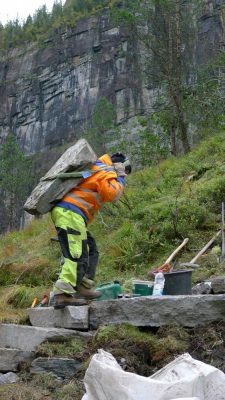 During the analysis of the site, Østengen & Bergo found several points of cultural interest in the area around Skjervsfossen. 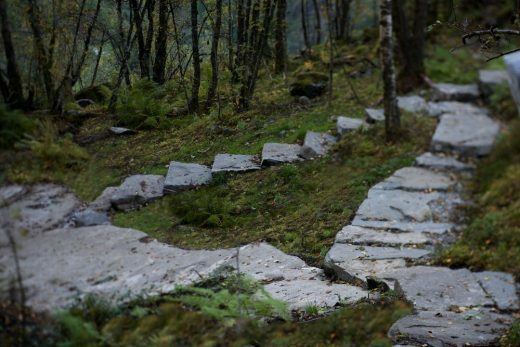 The terrain is steep and was almost impossible to move through, and a trail made of natural stone became a central nerve of the project. 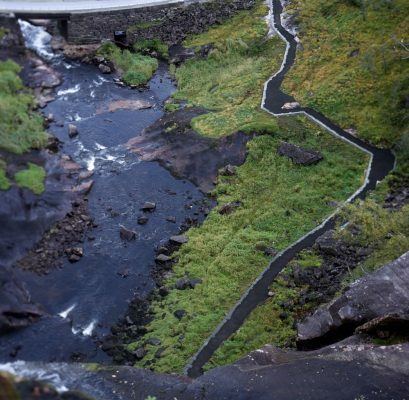 It connects the different experiences of the waterfall and places of interest, creating a meeting of nature and culture. 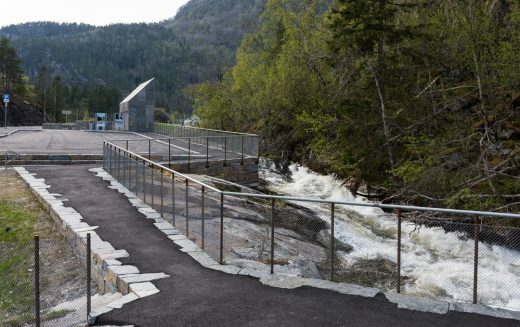 The trail is formed in terrain, and represents a different design than the more stringent formed universal pathways and service area with parking, restroom and picnic facilities. 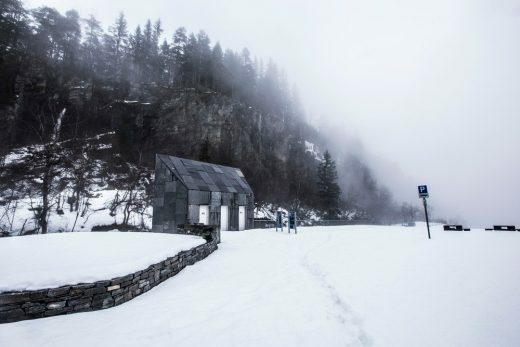 The building itself is located within a larger open landscape and takes advantage of wide views towards the steep mountain walls, and the moving valley. Creating strong references to the site and its surroundings was an important feature of the project. 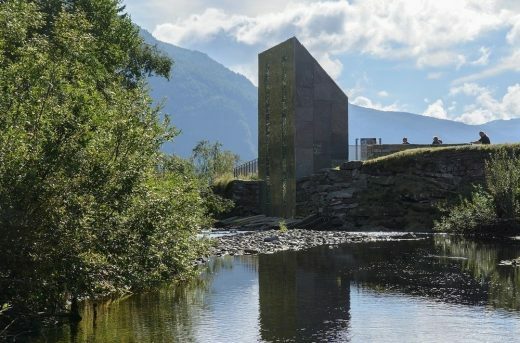 The building appears as a small piece of the mountain, carved out of the rock and relocated to the other side of the riverbank. The shape makes it a non-house, being a sculpture of the solid rock. Fortunen had a desire to create an interior distinct from its external setting. 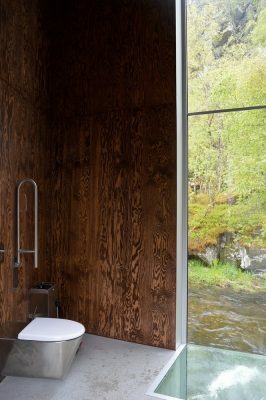 Contrasting the outside solid rock, the internal walls are covered with deep, warm coloured plywood. 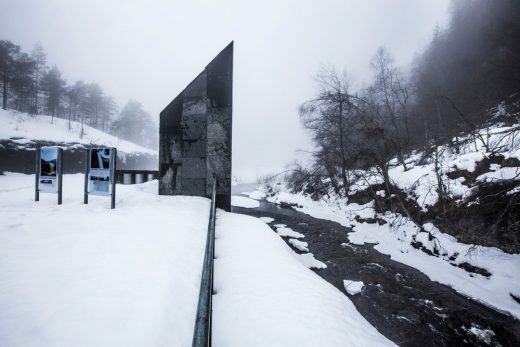 A sharp glazed section of wall opens towards the river, creating views over the moving water, forest and mountains beyond which rises towards the sky. Local, natural stone is the main material in the restroom building, service area and nature trails. The colour scheme is carefully adapted to the environment, with robust designed fences in rebar (reinforcement iron) and benches in concrete. Tufts of removed grass was stored during construction and put back in place afterwards. 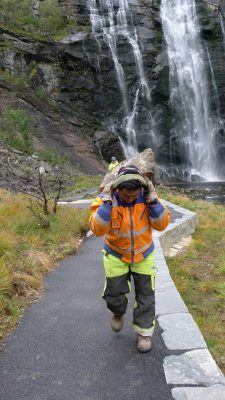 Both in design and execution phase, the rough landscape and rich vegetation by the waterfall has been treated as fragile. 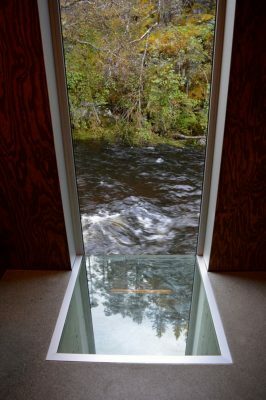 The architect’s and landscape architect’s intention has been to make gentle interventions that look like they have always been in this terrain – despite their modern form. The combination of contemporary form, ancient craft and local materials create a timeless dimension to the project. 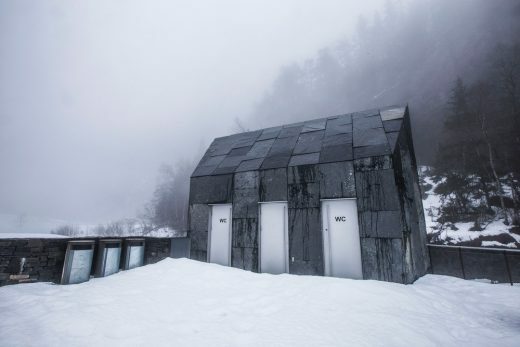 Fortunen AS is an architecture company based in Bergen, Norway, with 18 employees. 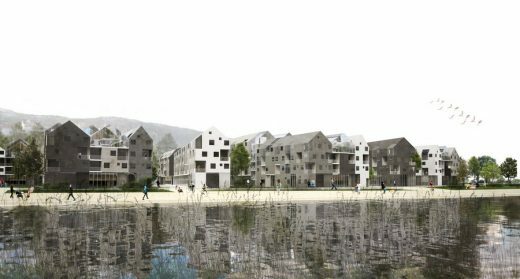 They work in a diverse range of scales from objects, houses, city-planning to landscape. The company was established in 1997. Fortunen AS covers object, interior, landscape and building design. This gives them the greatest possibility to have a holistic approach from the very start. In their philosophy, the human and the environment are the focus, and goal of their effort. Fortunen AS love using color and natural materials in their architecture. Kari Bergo, born 1967, established Østengen & Bergo Landscape Architects AS together with Johan Østengen in 1996. 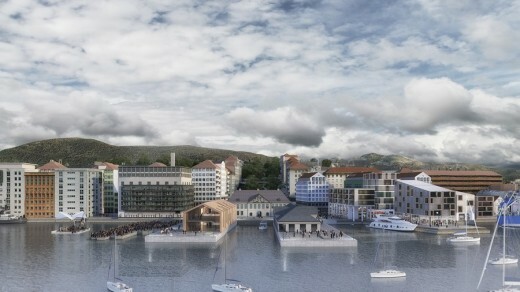 The office is based in Oslo, Norway and works in a wide range of range of projects. 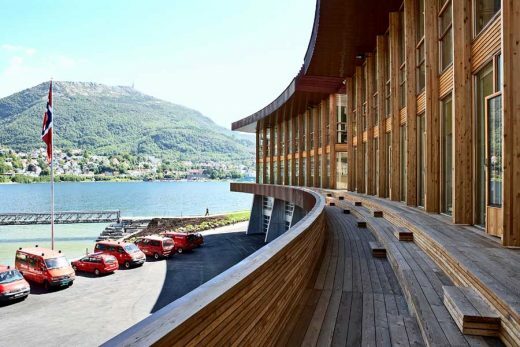 Nils Johan Mannsåker, born 1957 is a Norwegian architect and founder of Fortunen AS.